QiqoChat is a tool for building vibrant online communities. Your members will be able to build relationships and efficiently share knowledge with their peers. If you belong to a trade association, you may be interested in reading more about Qiqo for trade associations. The core tools on QiqoChat help you connect with other professionals for small-group video breakout sessions for an experience that is significantly more enjoyable than a standard webinar. Each online community on QiqoChat is equipped with the following tools. A screenshot of each is below. Groups on QiqoChat are called circles. 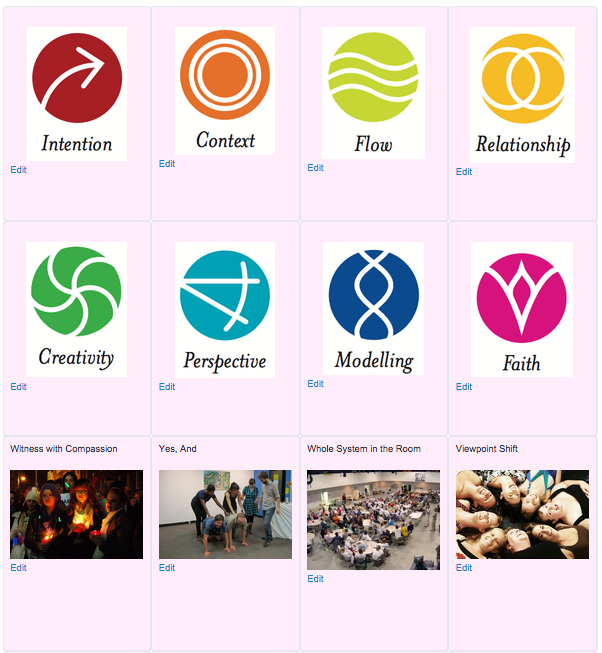 Each circle is equipped with all the collaborative tools below. You can turn each tool on or off. Circles have a half-dozen powerful subscription options such as “Notify me of new events/questions/conversations/jobs/etc”. Members can set their notifications to immediate or to an hourly or daily digest. 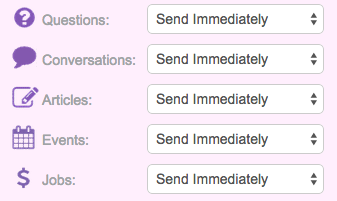 Example email notification options for a QiqoChat circle. Sometimes it’s much easier to speak with someone by phone or video chat than to write everything down in an email. We are built upon Zoom, a robust video chat system which can handle calls with up to 200 participants. Video chat is easier than you might think. One Qiqo circle even held an online celebration for one member’s 80th birthday! Users who do not have video chat can call in by phone and their picture won’t be shown, as seen above. Anyone in your circle can schedule a live event on any topic. Each event has 10 online “breakout tables” and you can add more if you wish. Screensharing, whiteboards, and collaborative notes (see below) are available for each breakout table. Participants can also share links with each other and preview files and websites during the event without leaving the page. There are many ways to get creative with live events on QiqoChat. Events have a main table and breakout tables, each with their own collaborative notes. Propose several times for important live events and find the times that are convenient for the greatest number of your members. An easy way for people to indicate when they are available for live events. 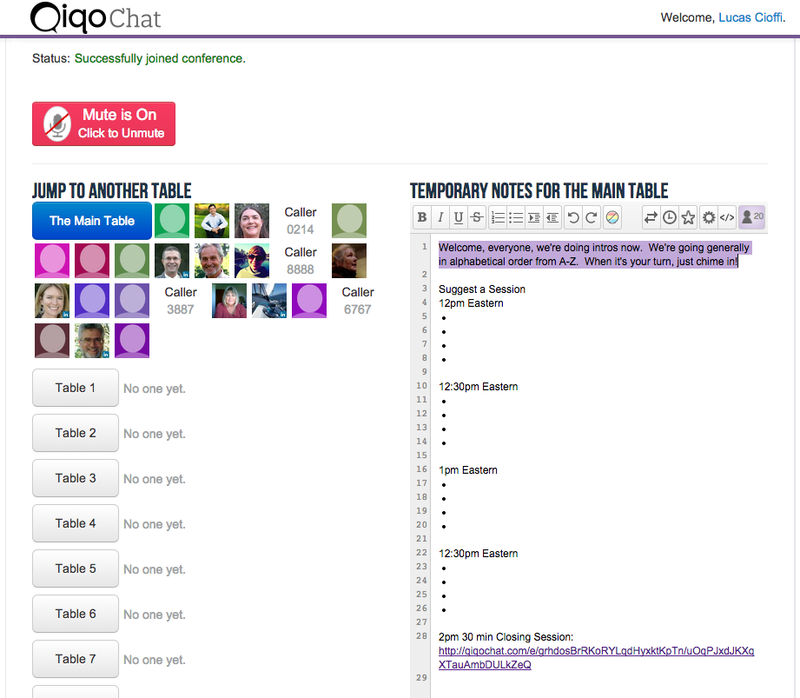 With QiqoChat, we provide chat to our users so that they can engage in “collaboration escalation” which means that they can connect quickly and easily through chat and then they can arrange a video chat right there on the spot or even schedule a live audio/video event for another time. 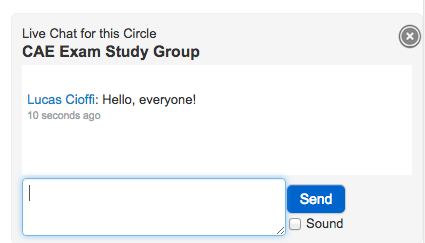 Live chat is a quick and easy way for members of a circle to get in touch at any time. 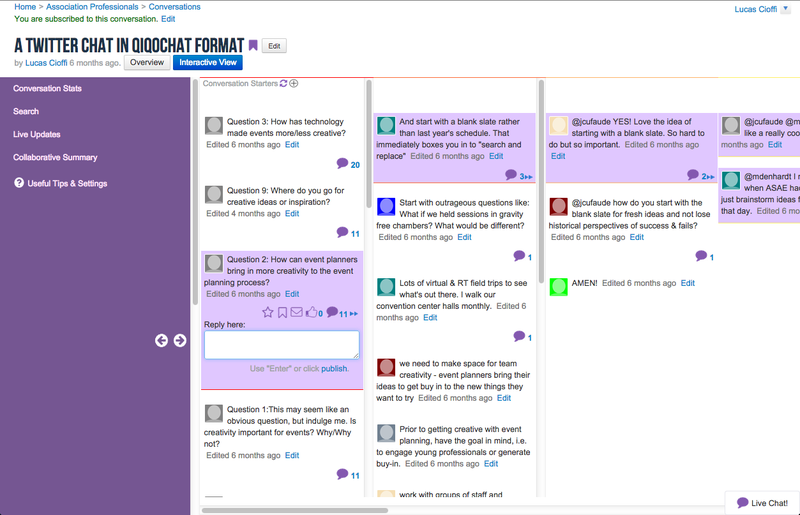 You can build an entire online community around this simple tool alone. Anyone in a QiqoChat circle can share one announcement or link per week as part of the weekly newsletter. By default, everyone in the circle receives the newsletter, and they can opt-out with one click. Surprisingly, it’s hard to find a tool for a community generated newsletter anywhere else. 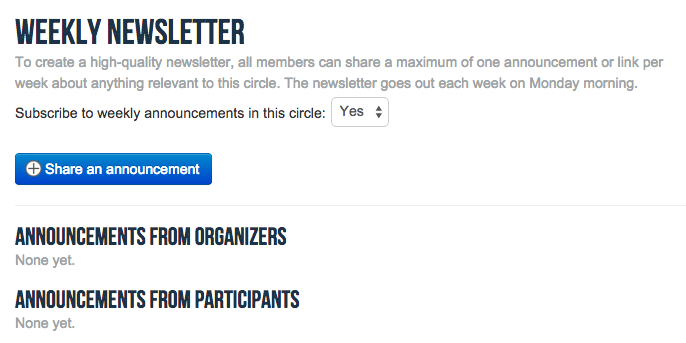 Members of your circle can each contribute one announcement to the weekly email newsletter. Members of your community can walk into a virtual café to have a conversation with other members of their community who are available at that very moment. Members can choose small-group video chats or dial into a phone hotline to be connected 1-on-1 with people from the circle who indicated that they would like to receive calls. Connect live by video or phone to other members in your circle. This is a powerful tool to help a small or large group of people communicate through written text. Members can schedule video chat events around any conversation (see below). Conversations have highly customizable email notification options so that participants can choose exactly how they want to be updated. Members can ask each other for recommendations such as “Best way to do X?” Members can schedule video chat events around any question (see events below). 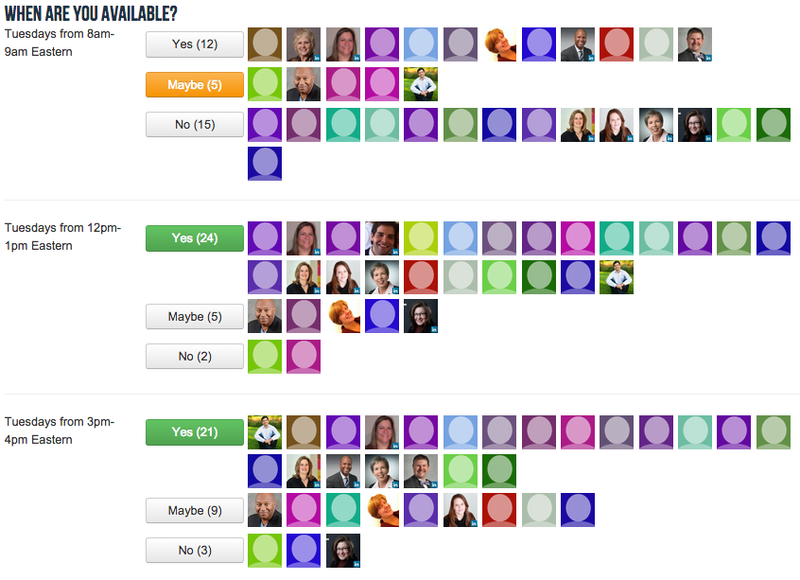 The QiqoChat recommendations tool is an effective way for a group to brainstorm. Members can gather a group of questions into a collection. New answers to any question in the collection will be visible immediately in the menu at the top of the page. Members can schedule video chat events around any collection (see events below). Create collections to stay updated on specific items across QiqoChat. 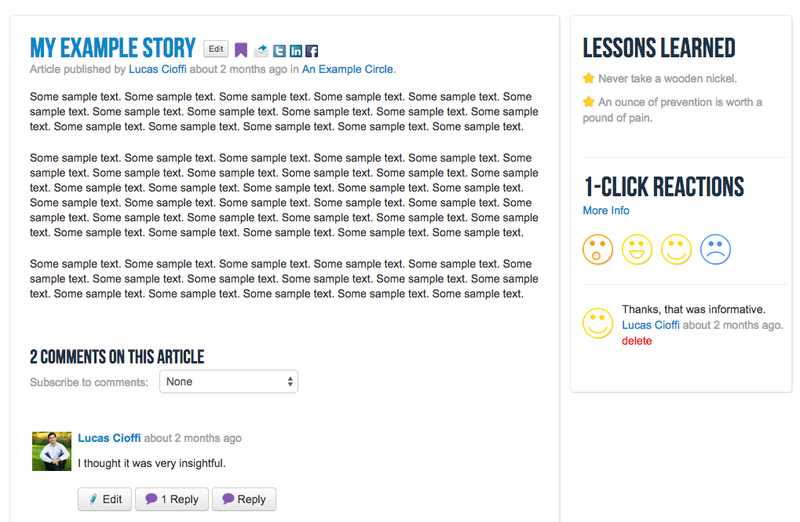 Articles are a simple way to post a story or case study. Other members can add a 1-click reaction (informative, amazing, etc) or they can engage each other in the comment section. Members can write articles and stories in a standard blog format. When members of your circle want to move from communication to collaboration, you’ll find that it’s easy to track all the tasks associated with a project. First you write a short article about your project. When you edit your article, look under the “Optional Features” section to enable “task tracking”. 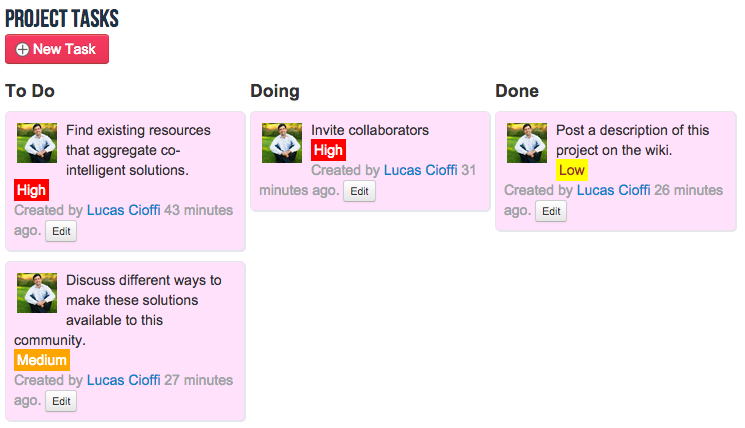 This turns your article into the collaboration center for your project. Any member of your project team create and edit tasks associated with this project. You can assign a task to a specific individual, label it with high/medium/low priority, and mark whether it is in-progress or complete. This is lightweight project management tool is ideal for projects in your community of practice where many people may want to help with a project, but they do not have time to learn a more complex project management tool like Asana or Trello. Quickly and easily prioritize tasks, assign them to team members, and track completion. Members of your circle can easily upload files to share with each other. You can comment on files, and more importantly, you can include the direct link to the resource when you post a response using the other tools (Questions, Articles, Conversations, Notes, etc). Once participants share files, they can link to them when using any of the other tools on QiqoChat such as events and conversations. This is the easiest tool on QiqoChat and a fun way for members to exchange knowledge. Members of a circle can create and share flashcards with each other. Each member can save their flashcards in different virtual piles to help with learning and studying. Members of your group can create and share flashcards to help with peer-to-peer knowledge transfer. Members can add external events from outside of QiqoChat to the calendar for their circle. Everyone who is subscribed to notifications about new events will be updated automatically. 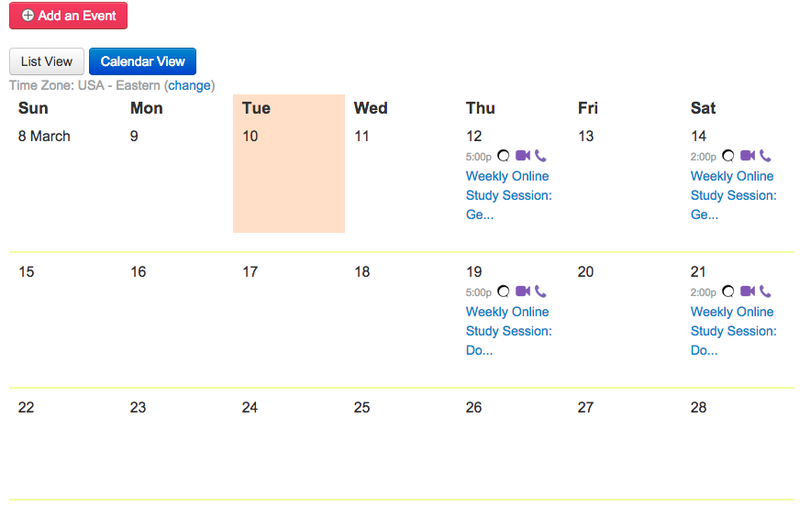 This shared calendar is a key feature for helping people make sense of all the relevant events in their community. Members can post events, even events that are happening on other websites. Many people can edit a simple text document at the same time. All audio and video events have their own area for collaborative notes. You can see everyone typing live in a different color. Members can post new job opportunities that are relevant to others. Share relevant job opportunities to others in your circle. 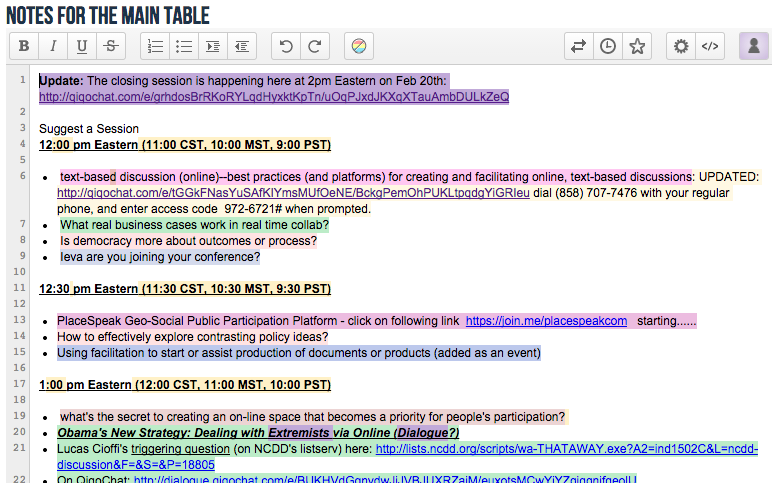 This helps participants get a quick and colorful overview of what is being discussed. Then they can search for specific keywords to find what they are looking for. 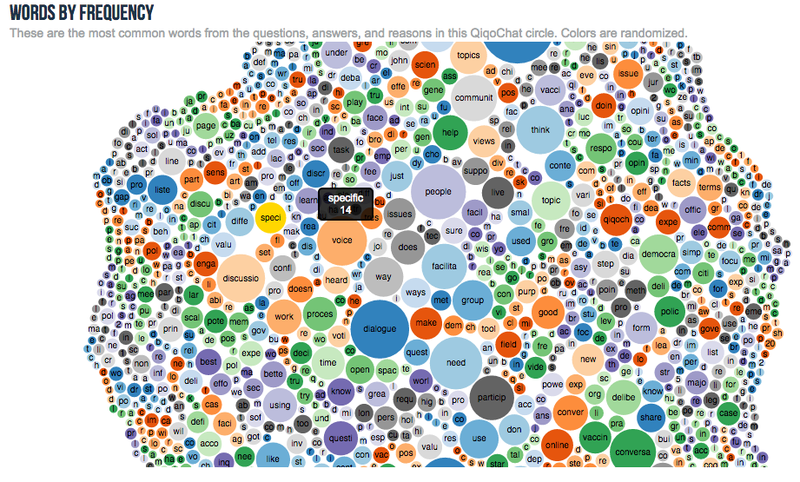 The largest words are the ones mentioned most frequently by participants in the circle. Your members can collaborate on mapping out a problem by identifying the stakeholders, outcomes, and the relationships between them. Collaborating on a common way to see the problem is a powerful first step towards solving it. As this example map is getting built, you can start to see which entities (blue) affect which problems (red). Building tools for peer-to-peer knowledge sharing is what we love to do. Have an idea for another app we should built into the platform? Please do get in touch. Want to start a free trial? Here’s the link. Hi Lucas: Have been exploring your guides and videos. I’m so impressed with the sheer volume of features QQC offers. Blown away, actually. Marti, one of my co-hosts on the DD CAN would like me to set something up for a new group that I’m helping her start in ICA’s TOP Network that will also be focused on climate change. I can, of course, just use my zoom account, but can we go ahead and start a circle for her and use QQC on Feb. 9th at 1:30pm PST? There will probably just be about 8 to 10 people. Also, my own co-hosts on DD CAN are meeting with me this tuesday to decide which way to go. I’m pretty sure we will settle to change over. You and I should probably talk about this prior to Tuesday, so I can let them know how we will proceed, if we want to go this way. Do you have time Tuesday? Our call is 3pm MST. So, if we could talk prior to that, it would be great. Hi Linda, this is great news. I’m glad we connected by email and I look forward to speaking tomorrow.